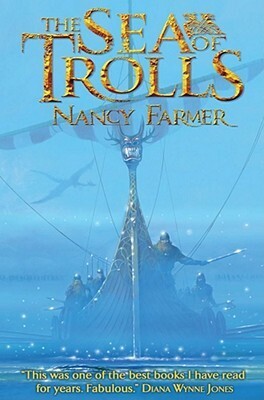 The Sea of Trolls by Nancy Farmer is the only book that I own that is autographed. I have no idea why it is autographed – I have never gone to a book signing before. I bought it that way, actually. It was at school and there was a book sale in the school library (where I worked, of course). A book store came and set up shop in the library. When I picked up this book, I saw that it was autographed on the first page: clearly it said Nancy Farmer. Well, I don’t know if its fellows were also signed. Perhaps they were. Perhaps these were pre-signed books that were then sent to be sold because no other use could be found for them. Or perhaps my copy being in this heap was just a mistake and should never have been sold in an ordinary school library. I just don’t know, but it’s mine now and I like it. I really like it, actually. For many years, I’ve had an interest in mythology and this book deals rather heavily with Norse Mythology and the writing of the Epic of Beowulf. It’s very good. 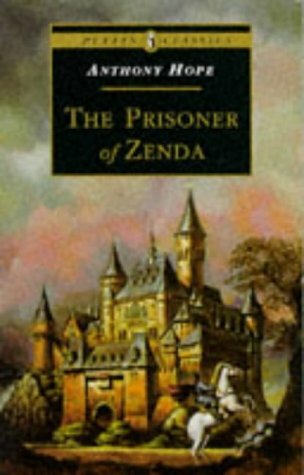 The Prisoner of Zenda is the oldest book in my collection, to the best of my belief. I had seen the animated movie and liked it, so then I picked up the book second-hand because I thought I would like it as well. Unfortunately I am now also compelled to say that I haven’t read it. I tried. I really tried, but it was so dry, so boring that I simply could not read it. Perhaps I should try again, but when I bought it I couldn’t manage it. I should go check again sometime exactly how old this book is… it’s completely falling apart and smelling very strongly of dust and something else. 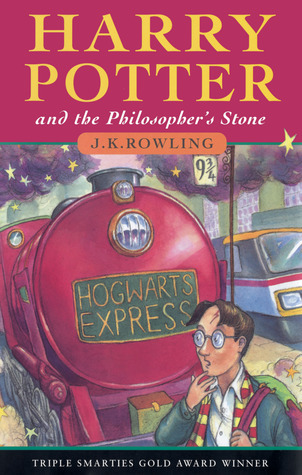 Harry Potter and the Philosopher’s Stone… because this is where it all began. Actually I own three copies of this book (it’s a long story). If people ask me if I’d give any of those away to people who don’t have books, I say “Sure!” and then I can’t pick which one to give away. Should I give away that very first copy? Or should I give away one of the others, each of which also has a special significance? Until I can choose, I think all three books will remain in my possession. One day, maybe I will be able to let some of them go, but for now, I would like to remember my childhood, reading Harry Potter. And then… The Coral Island by R.M. Ballantyne. I absolutely loved this book when I read it as a kid. When I wrote about Treasure Island, I said that I had a thing for “deserted-on-an-island” kind of stories. I got it from the library and it was one of those copies that the library redressed when the old cover got too worn. So it had a plain green, hardback cover with the title in tiny golden letters on the spine. It was therefore not very noticeable or memorable. Well, I gave the book back to the library after I read it. Not long afterwards, the entire library was demolished to make place for a shopping centre (it was then moved lower down the street). At the same time, the library took the opportunity to redecorate and move all the books about. When I came to the new library again, several years later, everything was moved and I had no idea where to find that book again. I could remember the plot pretty well, but I had no idea who the author was or what the title was. I’m in that situation for several more books from that library actually, but don’t worry, at least this one story has a happy ending. One day last year, when I was walking the 821-shelves in my university library, a book caught my eye. 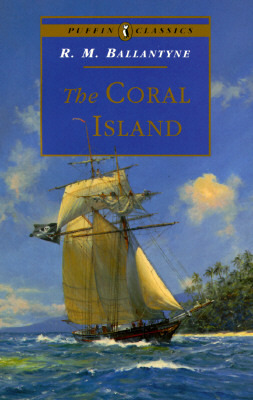 It was this Puffin Classics edition of The Coral Island and as you can see up there, it is quite bright blue. When I went closer, the name sounded familiar. When I picked it up and read on the back, I knew immediately that I had found my lost book of years ago. When I found and bought this book in a second-hand bookstore, I was so happy that I now finally owned a copy of this childhood favourite. Now I can only laugh at the roundabout way that I had to find it again – first the cover, then the title and author, before I could finally search for it again. 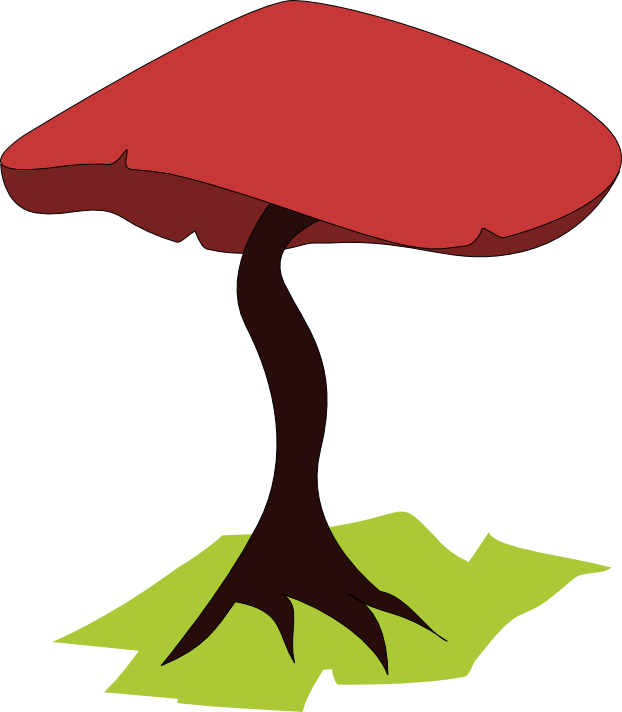 Tomorrow I reveal a book that I have wanted to read for a long time but still haven’t. 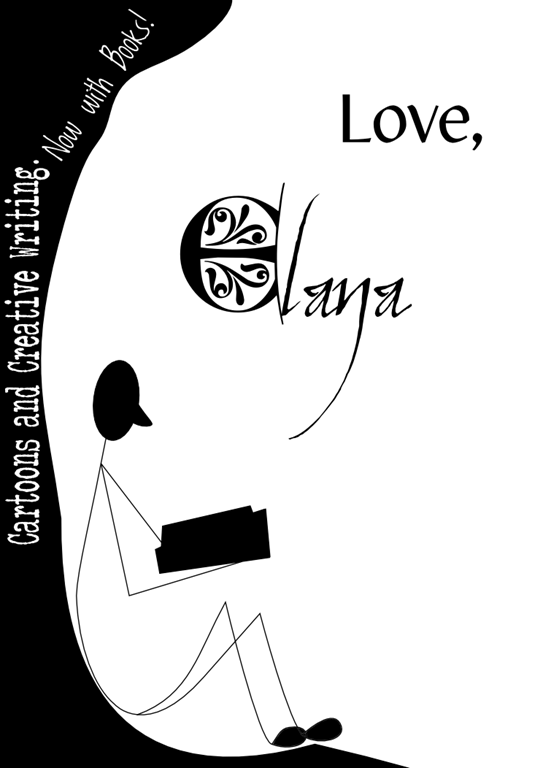 This entry was posted on July 16, 2012 by Elana. It was filed under 30 Day Book Challenge and was tagged with anthony hope, book challenge, books, Harry Potter, j.k. rowling, nancy farmer, prisoner of zenda, r.m. ballantyne, reading, sea of trolls, the coral island. By the way, guys, I went and hunted out that Prisoner of Zenda book. It was published in 1936, which makes it 76 years old. It’s amazing you found a book that old and still around! xD I think it sounds very… well, interesting….